Monday again folks and this week’s pre-Christmas party is being hosted by the delightful Fairy and the Frog. Do pop by and see which two fabulously festive pins from last week’s party they have chosen to feature. 1. 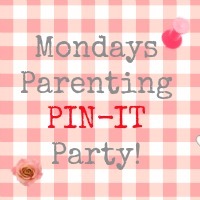 Pin up one, or more, of your own parenting/family posts.